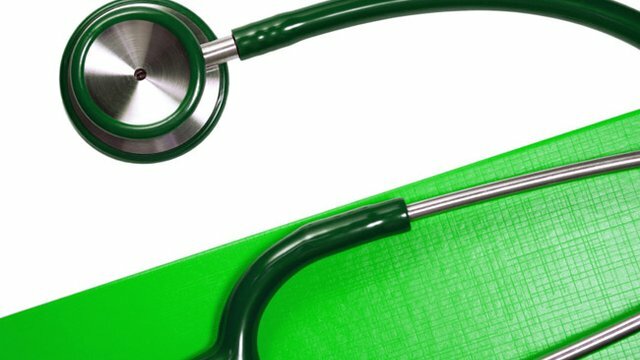 As the United Nation’s Conference on Climate Change took place last month, the international coalition Health Care Without Harm announced 67 organizations, representing 8,200 hospitals and health centers from 16 countries, pledged to reduce carbon emissions against individual targets by 2020. Hospitals consume large amounts of water and energy and produce significant waste. In fact, health care accounts for 8 percent of the United States’ carbon emissions, according to a 2009 estimate. Adopting sustainable, energy-saving practices could save the industry up to $15 billion over 10 years, making green initiatives an important source of cost savings for hospitals, according to the website Healthcare Dive. While 69 percent of hospitals surveyed tracked energy use, only 37 percent included performance metrics as part of that tracking, according to the 2015 Health Facilities Management Sustainable Operations Survey. Less than half set and monitored energy use targets. The survey identified a need for increased senior management engagement in hospitals’ sustainability initiatives. Only 29 percent had designated a sustainability manager to oversee their programs. Without performance targets and metrics, hospitals may have a harder time realizing energy savings and increasing efficiency. The Commonwealth Fund, a private foundation, estimates energy costs at 1 percent to 3 percent of a typical hospital’s operating budget. Upgrading older buildings’ lighting and HVAC systems can realize substantial in annual savings costs. Cogenerating heat and electricity from the same source can reduce energy costs by 25 to 40 percent, according to the Advisory Board Company. In the same analysis, the Advisory Board pegs potential savings at $600,000 to $1.8 million from energy upgrades. In addition to consuming large amounts of energy, hospitals generate significant amounts of waste, including costly-to-process biohazard waste. Each day, hospitals in the U.S. produce 6,600 tons of waste. Medical waste, disposed of through special red bags, costs 13 times as much to dispose of compared to regular waste, Healthcare Dive reported. Identifying misuse of red bags and ensuring proper sorting by staff can reduce overall volume, significantly reducing disposal costs. Tactical level initiatives aimed at reducing equipment use can yield efficiency gains as well. "Operating room packs" are kits loaded with equipment and supplies to be used in surgeries. Any unused equipment must be disposed following surgery, as it will no longer be sterile. Reformulating the packs to better reflect what will actually be used in a given surgery reduces unnecessary waste, often of expensive medical supplies. This could save the health care system hundreds of millions over five years, if extrapolated across all hospitals and procedures, according to Healthcare Dive.